Living… in Pawnee, Ind., a town that is the opposite of hip. People in Pawnee are just now getting into Nirvana, Tom says. He didn’t have the heart to tell them what was gonna happen to Kurt Cobain in 1994. 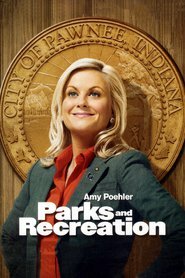 Profession… administrator in the Pawnee City Department of Parks and Recreation. Tom’s favorite aspect of his profession is the power. Not that he abuses it; he doesn’t give into temptation. But it’s great knowing that he could. Relationship Status… a perpetual (wannabe) player and occasional heartbreaker. Tom doesn’t mind getting his heart broken himself, because he’s a guy. When a guy gets dumped, he can just call the girl “crazy” and relinquish himself of all responsibility. Tom insists that’s what they always do on Entourage. Challenge… getting one of his business ventures off the ground so he can get out of his bureaucratic job and become a serious entrepreneur. His company, Entertainment 720, is currently bankrupt, and his efforts to pitch to local investors while he’s in the office have failed miserably. Personality… cocky and fast-talking, but with hidden depth. Tom believes he’s got it all – business and street savvy, skills with the ladies, government connections – and will gladly tell anyone who will listen. But there are deeper layers to Tom that are easy to miss. Beneath his sarcastic persona is a person struggling for definition and a place for himself. Tom Haverford's popularity ranking on CharacTour is #1171 out of 5,000+ characters. See our top-ranked characters and read their profiles.